Pretty soon after the Hotel Vancouver was underway the Canadian Pacific Railway sought to make their part of the new city even more attractive by building a theatre next door to their hotel (to the south). Grandly (but fairly inaccurately) called The Opera House it was designed by Montreal architects John and Edward Hopkins, a father and son team who also picked up another CPR commission for the Lord Elphinstone Block, an office designed in the same year as the Opera House, 1888. Confusingly there was another Opera House built at the same time, the Imperial Opera House on Pender Street – and there was also Hart’s Opera House on Carrall Street, the oldest of the three, but that was described as a ‘glorified shed’ with burlap walls and doubled as a roller rink – the CPR’s was easily the classiest. The new street railway conveniently ended in front of the Opera House, completing in 1889 not very long before the Opera House opened in early 1891. It cost $100,000 to build and apparently was run at a loss, but that was made up for by the passenger traffic it attracted. Mr A P Horne of the CPR Land Department recalled the first year of operation in a conversation with Major Matthews. In 1894 the Imperial closed, and the CPR had a monopoly. They ran it until 1896 then handed management to Robert Jamieson who managed several other BC theatres. While serious drama often played to a limited house (with 1,200 seats a small audience was noticeable) the Province newspaper in 1898 “complained about the vulgarity of ‘Leavitt’s Spider and Fly Burlesque Company’ while conceding that “a good many people appeared to enjoy themselves immensely”. In the same year, 1898, the Savoy opened as a music hall, and a year later the Alhambra opened as a theatre. 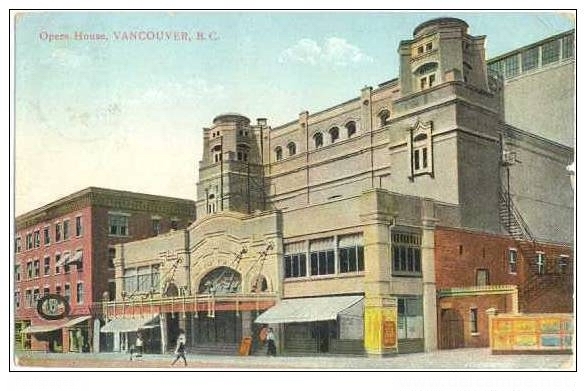 By 1906 US interests were booking the Opera House and by the time the Pantages Theatre opened on Hastings Street in 1908, Vancouver was an integral part of the North American touring circuit. 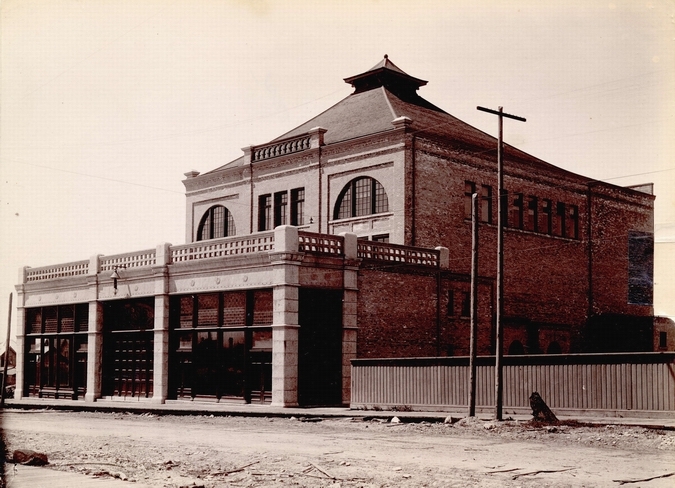 There was a major refurbishment and enlargement of the theatre in 1907, started in May and completed in September, designed by E W Houghton of Seattle. The proscenium arch was widened by seven feet, the posts supporting the balcony were removed, the back of the theatre shifted into the foyer to add five extra rows of seating (bring capacity to over 1,700), and the front-of house space was rebuilt and widened. Despite this, the CPR were thinking of offloading the theatre, which they did in 1909 for $200,000 to a local consortium, who promptly flipped it for $300,000 to US based Sullivan and Considine.